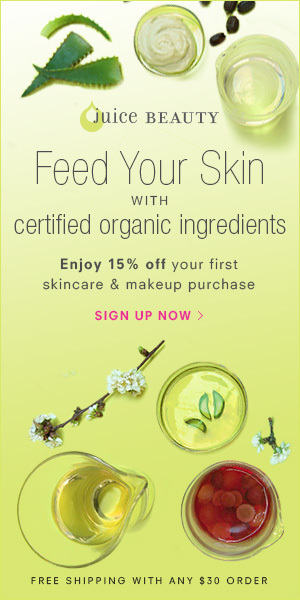 JuiceBeauty.com- Free shipping and three free samples with any purchase. -Read articles regarding Juice Beauty: April 2015 FabuFinds. -Sign up for emails for an exclusive 15% off code.